Welcome to another day of VeganMoFo, the vegan month of food. 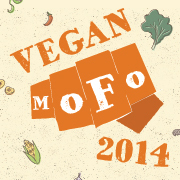 VeganMoFo is an annual event where bloggers from all over the globe dedicate their time and posts to the delicious topic of vegan food. This year The “V” Word’s theme is “Vegan Products I Love.” These are products worth writing about, reading about, buying, trying and spreading the word about. And if any of these products inspire a new recipe, I will share that as well. 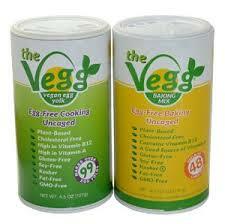 Today’s vegan product is The Vegg Baking Mix which is an egg replacement for baking. You are probably already familiar with The Vegg and their vegan egg yolk replacement. The Vegg is a powder that when mixed with water or milk gives you an ingredient that replicates the taste and texture of egg yolks in recipes. The Vegg is the only product that gives you that “eggy” taste and texture in vegan recipes. We all know we can make a tofu scramble instead of scrambled eggs and we can add black salt for that “eggy” aroma and turmeric for the yellow color. But it still doesn’t taste like eggs. Add some of The Vegg in it and it will! The Vegg can be used in recipes to make tofu scrambles, hollandaise sauce, quiche and even carbonara sauce. Pretty much anything you ever made with eggs, you can make with The Vegg. Now The Vegg has a baking mix which is a vegan egg replacement specifically for baking. The Vegg Baking Mix can be used to make cakes, cookies, muffins, challah, and any baking recipe where you would have used eggs. Just as with cooking, we all know a bunch of tricks for replacing eggs in our baking. We use commercial egg replacements, flaxseed, chia seed, psyllium husks, fruit purees, bananas and even vegan mayonnaise. While they work to make delicious, tender baked goods, the thing still missing is the flavor that eggs give to a recipe. The Vegg Baking Mix gives us back that flavor with no cholesterol, allergens or cruelty to animals. The Vegg Baking Mix is vegan, gluten-free, soy-free, fat-free, cholesterol-free, GMO-free, certified kosher, and a source of vitamin A and vitamin B12. All the ingredients are natural. I was trying to decide what to make with The Vegg Baking Mix. 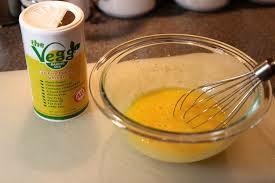 I have used The Vegg Egg Yolk Replacement for French toast, tofu scrambles and chickpea omelets. Whenever I try a new egg replacement method, I like to make chocolate chip cookies. It’s become the standard egg replacement test for me. 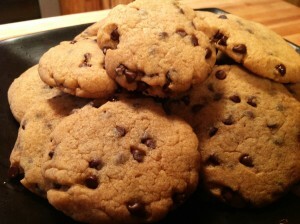 So I made a batch of my Vegan Chocolate Chip Cookies with The Vegg Baking Mix. The cookies were crispy on the outside, chewy on the inside, and the texture was perfect. The taste was also perfect. The Vegg Baking Mix was easy to use. Just mix 1 tsp. of the mix with 1/4 cup water for each egg you want to replace. I would note that I didn’t use 1/2 cup of water even though I used 2 tsp. of The Vegg. The cookies just didn’t need that much liquid and it’s perfectly fine, depending on the recipe, to just add the powder without any liquid. 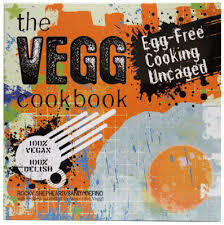 If you’re wondering what else you can make with The Vegg, they also have a cookbook! The Vegg Cookbook has over 70 recipes created by fans of The Vegg from all over the globe. All the recipes use The Vegg products. You can order The Vegg Egg Yolk Replacement, The Vegg Baking Mix and The Vegg Cookbook from The Vegg web site store or check out the store locator to find a retailer near you. Be sure to visit The Vegg web site for more info, ordering, and recipes. Thank you, The Vegg, for making such a great and healthy egg replacement! Be sure to visit The “V” Word every weekday this month for VeganMoFo and more vegan products that are worth writing about, reading about, buying, trying and spreading the word about! Line 2 baking sheets with parchment paper. Preheat the oven to 375 degrees. Mix 2 tsp. The Vegg Baking Mix with 1/3 of water and set aside. In a bowl, combine the flour, baking soda and salt. Mix to combine. In a large bowl, add the softened butter, brown sugar, cane sugar, egg replacement and vanilla extract. Using a hand mixer, mix to combine all the ingredients. Add the dry ingredients to the wet ingredients and continue to mix until all the flour is incorporated. Using a spatula, fold in the chocolate chips. Scoop the cookie dough in heaping tablespoons. Wet your hands and roll each scoop into a ball. Place the balls of cookie dough onto the baking sheet about 2 inches apart. You can eat one cookie dough ball. Just one. After all, you want to taste the dough to make sure it’s good. 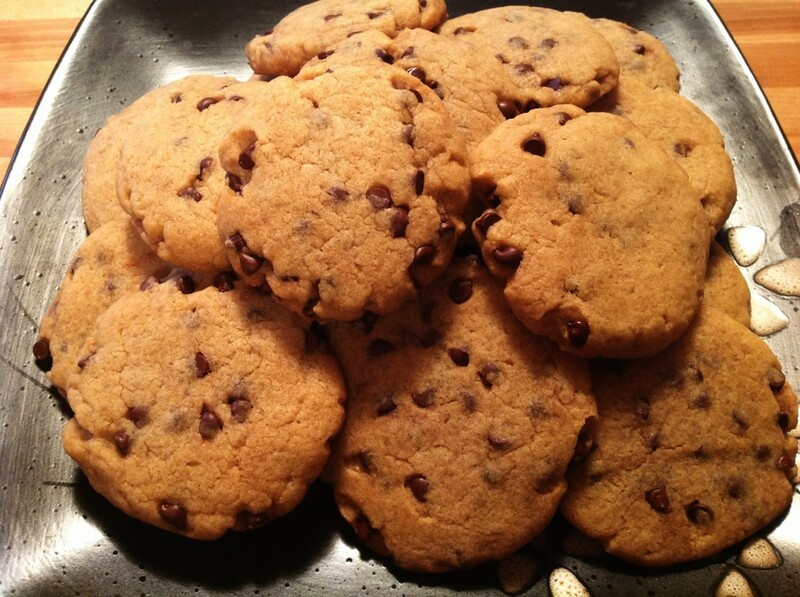 Bake until golden, about 12 minutes for chewy cookies or 15 for crispy cookies. They will still feel very soft when they are done. Remove the baking pans from the oven and let sit for 2 minutes. The cookies will firm up. 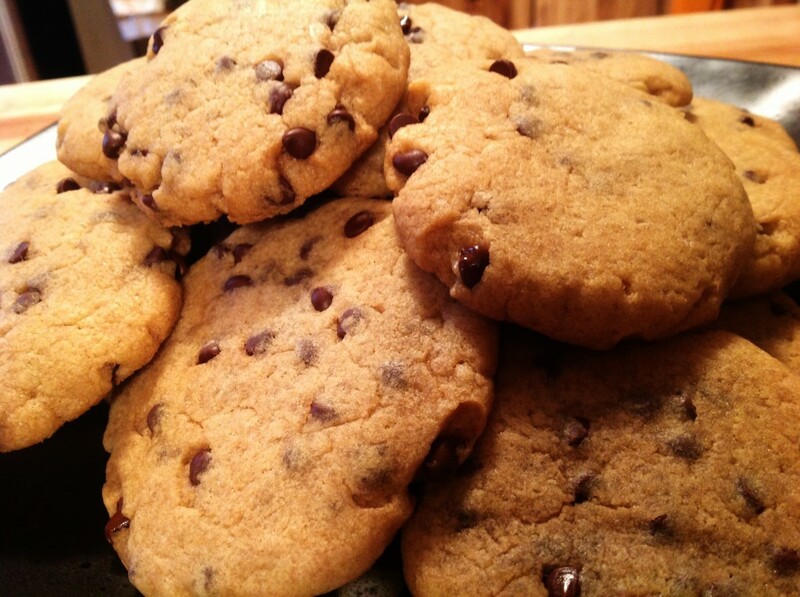 Use a spatula to transfer the cookies to a cooling rack. Let cool completely before eating (if you can). Line 2 baking sheets with parchment paper. Preheat the oven to 375 degrees. Mix 2 tsp. The Vegg Baking Mix with ⅓ of water and set aside. I’ve never used the baking mix but I do love the yolk, it makes the prefect eggy sandwich with some baked tofu.